This boutique hotel is the perfect mix of modern, traditional and luxury. 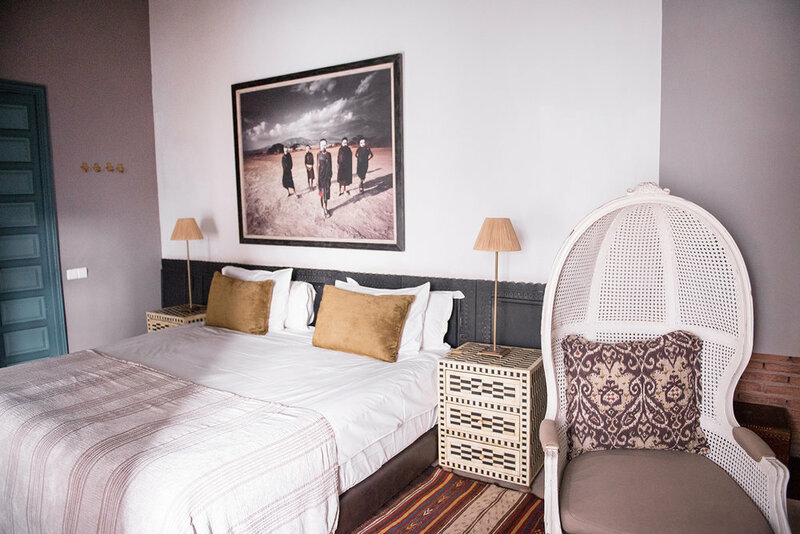 Located in a quiet neighborhood inside the famous Marrakech medina, the beautifully decorated rooms and suites feature luxury amenities for overnight stays, long relaxing getaways, and family breaks. Converted from a pair of riads, it's apparent that the Dutch owner is well-schooled in interior design and fashion, filling the spaces with an eclectic collection of furnishings, artworks and antiques from all over the world. With two shady courtyards adorned with palms and orange trees, a splash pool, and a large open-air rooftop lounge, you won't have any trouble finding a nook to relax in. Better yet, get the full Moroccan experience and indulge in the in-house hamman and spa! 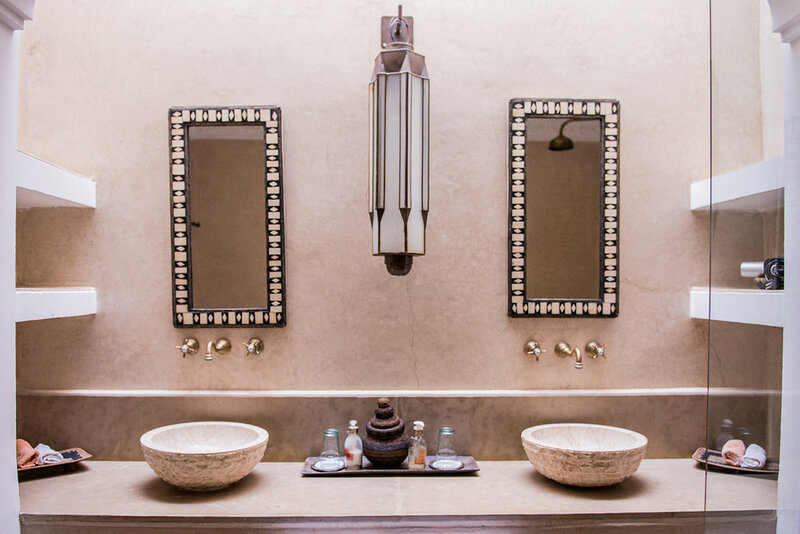 Each of the 7 rooms and suites have been furnished with all the modern comforts while enhancing the original architectural features and adding additional design flair ranging from gleaming brass door details to Starck chairs and beautifully sculpted stone basins. Some of the rooms have private rooftop terraces with sun loungers. Others have adjoining rooms if you want to stay as a family. Breakfast is served on the roof or in the courtyard and consists of fresh fruit, yoghurt, honey, croissants, pancakes, bread, coffee or tea, and fresh orange juice. Room service can be arranged but is not 24 hours. 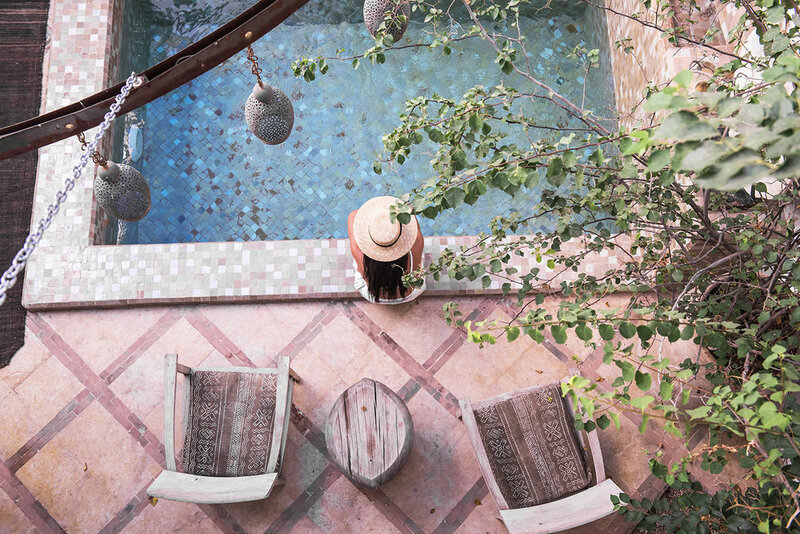 With advance warning, lunch and dinner can be served by the pool, in your room, or in the courtyard, sitting around low wooden tables on leather pouffes. Or you can dine on the roof, where rattan parasols shelter small metal tables from the sun. Ryad Dyor is in the medina of Marrakech, in Sidi Ben Slimane, Morocco. Ryad Dyor is approximately a 15-minute drive from Marrakech-Menara Airport. The hotel can provide airport transfers, and if you're staying for more than 3 nights, the transfer is complimentary. Alternatively you can take a taxis (approx DH100). *this rate is for 2 people per night and includes breakfast. Rates change for Christmas and NYE period. Rates are based on double occupancy. There is a 30 EUR per person charge for extra guests in the Sabba, Bacha, and Arab Suites. All children under 12 years old stay free of charge if sharing the parents' room. Extra beds and baby cots can be provided on request and must be confirmed by the hotel. Extra beds are 30 EUR per person per night. Pets are allowed on request. No extra charges. Airport transfers can be arranged upon request at the below rates: • 20 EUR per room for a one-way trip. • 30 EUR per room for a round-trip. Explore the souks with a guide - it will cost a little but it’s worth it for the fascinating historical detail they provide. They’re a great help when bartering too. 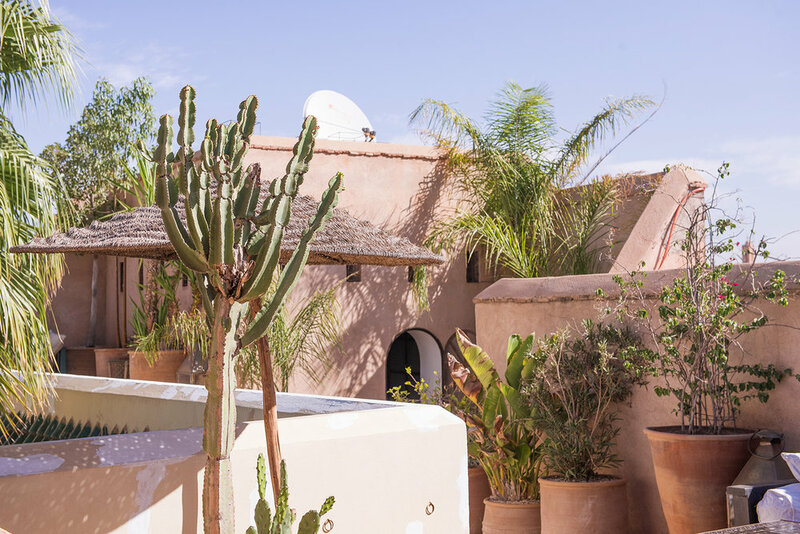 Staff can organize trips into the Atlas Mountains or desert for those staying more than a weekend, as well as camel rides, golf or tennis in the Palmeraie. Visit their website for contact and booking.